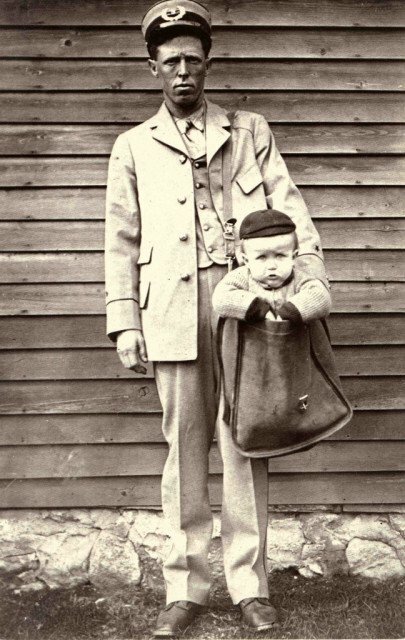 Before 1913 the US Postal Service packages were capped at four pounds, which limited what people tried to send by post. But 1 January 1913 the U.S. Post Office introduced a Parcel Post service for the handling of mail too heavy for normal letter post. 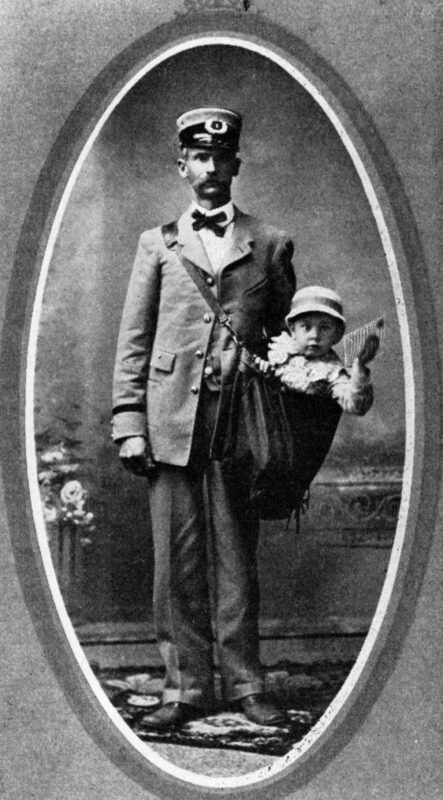 In the early years of Parcel Post service, before the U.S. Post Office implemented more specific regulations, people shipped all sorts of unusual things by mail, including coffins, eggs, dogs and, in a few cases, babies and small children. 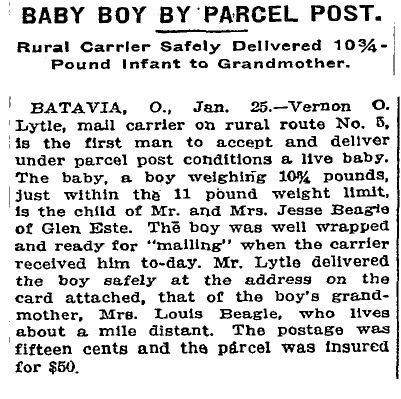 If your child weighed less than 50 lbs, you could simply affix stamps to his clothing and send him or her off with the postmaster. 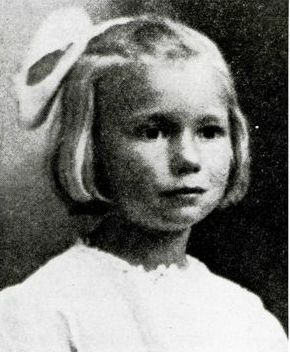 One of the most well-known stories of children being mailed is a story of Charlotte May Pierstorff. On February 19, 1914, an almost six years old girl, weighing in at 48 1/2 pounds was sent May from Grangeville to Lewiston, Idaho – a distance of about 73 miles. Charlotte May’s parents decided that she should visit her grandparents but thought the train fare was too steep a price to pay so they put 53-cents in stamps on her and sent by mail. She was taken to her grandmother’s house by Leonard Mochel, the mail clerk on duty. 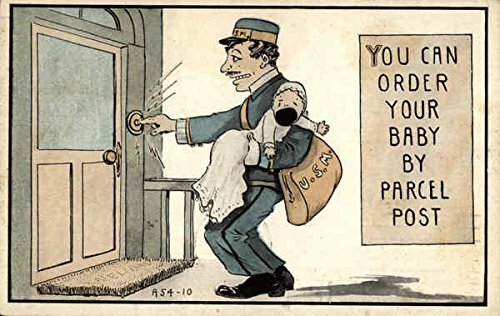 Soon all postmasters in the US were informed that sending human beings through the mail became illegal. Mailing people, regardless of weight, was made a federal crime in 1920, but there were still some attemps of that.